His first two photo folders “Von Ferne“ and “Magico“ have enchanted us. 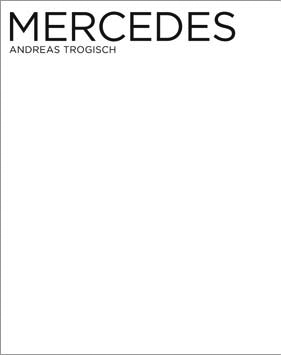 The new folders are called “Mercedes“ and “Technik“ and lead us deep into the fabulous world of Andreas Trogisch. Like the previous books they are published in an edition of 100 numbered and signed copies by “Peperoni Books“. Photographed in color for the first time, the pictures are infatuating and peculiar. Are these landscape photographs of the time of space travel? Have the surfaces of remote planets been captured from a great distance? Do we see details of unknown technical developments of foreign civilizations? On the back we learn more: Photographed in May 2009 in the Linienstr., Berlin. No further questions. Simultaneously to “Mercedes” the photo folder #4 under the name of “Technik” is published.